Platform switching was recently celebrated as the great breakthrough for retaining long-term crestal bone stability. However, a wide implant shoulder with a narrow abutment is not the solution to these complex problems by itself. Another key role retaining crestal bone plays a subcrestal placement and a reliable seal between the interface between abutment and implant. Our in vitro investigations show a leakage of this interface during a cycling loading. Firstly the leakage causes an aggressive and bacteria containing liquid in the internal implant-cavities serving as counterparts of the joint of an abutment. Secondly this fluid is pumped out of the implant-cavities and contaminates the periimplant tissue. Especially the contaminated bone reacts with a resorption. A cone within the implant-abutment connection can serve as a sealing method. Clinical and animal studies proof the lack of peri-implant bone resorption using implants with platform switching combined with a conical seal. The important consequence in the daily work is a reduced need of augmentation procedure resulting in a huge increase of patients which accept implant based therapies due to less costs and therapeutically risks. Additionally this tissue care behaviour of the Ankylos® implant system facilitates the manufacture of the suprastructure - at the dental chair as well as in the dental lab. Especially an aesthetic result borne on a platform switched implant requires a creative implementation on the part of the dental technician, taking the surrounding soft tissues (emergence profile) and the face into due account. 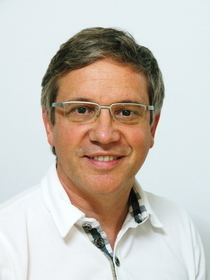 Dr. Paul Weigl graduated from the University of Munich Dental School in 1989. Since 1992 he has worked as an assistant professor and director of preclinical studies for the Department of Prosthodontics of the Johann Wolfgang Goethe-University Frankfurt am Main. Dr. Weigl has special focus in the field of prosthetics on implants. He is also a senior specialist at the Dept of Oral Surgery and Implant Dentistry, University of Frankfurt. Additionally he runs an R&D project to develop a fully automatic working CAD/CAM process to manufacture complete crowns and bridges and to develop a new fs-laser based device for diagnosis and minimally invasive therapy of caries. $475 if registering for this event only.